Ben Clanton's Squiggles and Scribbles: BOOK GIVEAWAY! Hey, YOU! Yes, you with the dazzling smile. You look like a winner! So go ahead and leave a comment on this blog and in that comment include THE BEST CAMPAIGN SLOGAN EVER. In seven days, 4 hours and 21 seconds a winner will be selected from all the comments on this post using the latest in quantum mechanics and string theory (Uncle Sam's hat with a bunch of names in it). What will you win? 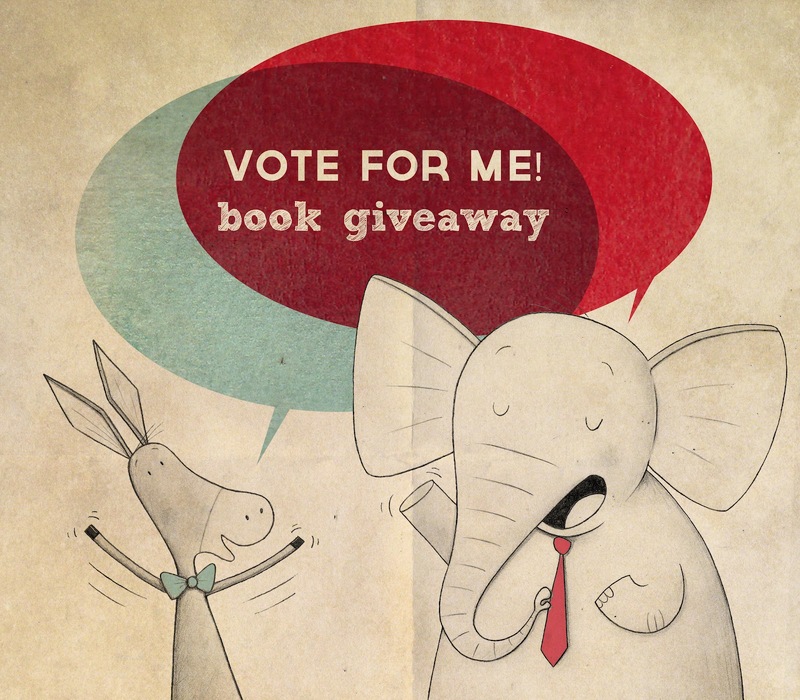 Possible prizes you might win include a copy of Vote for Me! (a redonkulously awesome book), a copy of Jasper John Dooley: Star of the Week by Caroline Adderson and illustrated by the brilliant Ben Clanton, an awesome hand-painted coaster by the benevolent Ben Clanton, or something that even in your wildest dreams you could not imagine.